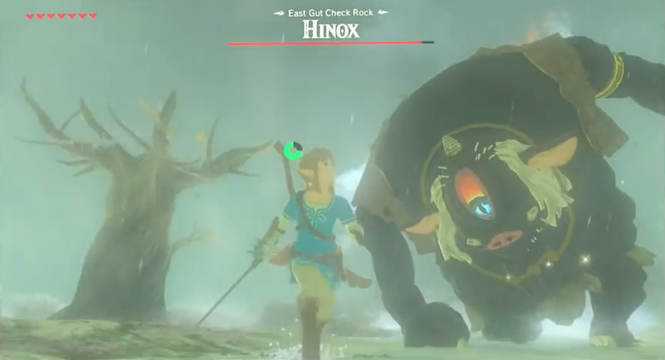 The Legend of Zelda: Breath Of The Wild – What Is Hinox? Hinox is a big ogre that appears in the Legend of Zelda Super Bowl commercial around 18 seconds in to the video. It seems to be the biggest and baddest enemy that you might find in the game and this is the latest version of the monster that we can see in the gameplay. He has got a big array of bombs that he uses to kill and hurt you in the game. Good thing we don't have those type of Cyclops in real life!